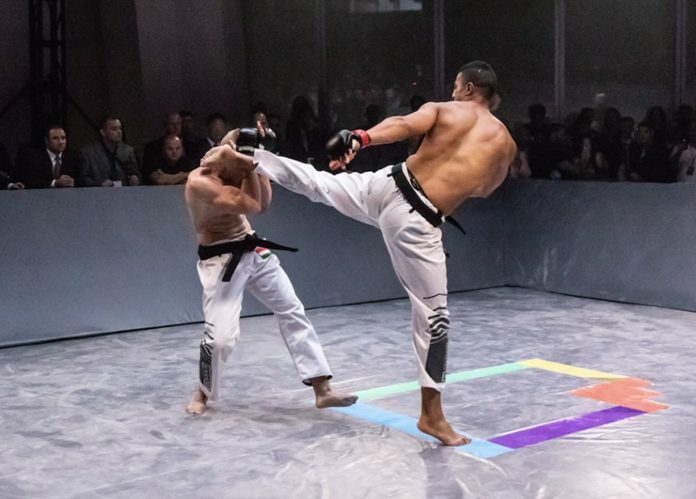 Premier Full Contact Karate League kicks off the second season on January 24 with a highly anticipated event held at the Avalon Hollywood (Jan. 25 AEDT). The fight card features nine bouts live on Karate.com hosted by famous actor Danny Trejo. Top of the bill is a lightweight “Challenger Match” between Luiz Rocha and Myrza Tebuev. The pair battles it out for the chance to earn the division’s Golden Belt. The co-main event is a contest between Elhadji N’Dour and Calum Robb. The matchup was moved up replacing the cancelled bout between Abdallah Ibrahim and Jerome Brown, which fell off due to travel issue of the latter. Ibrahim remains on the card facing a new opponent, American Kevin Walker, who received his black belt in 2003, at the age of 9 from World Champion Tony Young. Walker is currently a 4th Degree Blackbelt in Go Ju Ryu Karate. The official weigh-in ceremony, officiated by Bas Rutten and Sean Wheelock, is held a day before the fight show at the Avalon at 5.00 pm (local time). The list of well-known personalities expected at the event includes YouTube star Faze Sensei, TV personality Rocsi Diaz, former three-division World Champion in Muay Thai Nathan “Carnage” Corbett, among others. The full fight card can be found below.